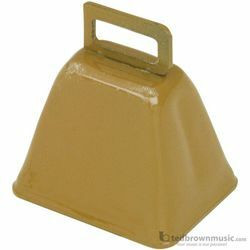 Child's Cowbell This small cowbell is made of high-grade steel with a copper finish. Has a sharp. clear tone.